Shout Me Loud is a website founded by the Indian Harsh Aggarwal, it one of the nicest websites in form and substance, when i started browsing Shout Me Loud I impressed by the accuracy and quality of Entries, which contributes to many bloggers writing. 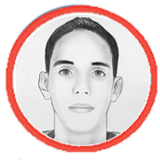 This diversity of bloggers contributed significantly to the brilliance of the site, It is not a day goes even I receive a new messages from the same website by subscribing to the daily messaging service, and this is evidence about the magnitude of this website. 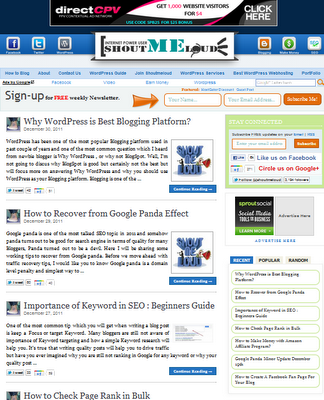 ShouMeLoud Includes articles on Blogger lessons, additions, Hacks, blogging tricks,Making Money and SEO techniques. This on the one hand, either on the other hand, we find WordPress lessons and other articles about youtube, google, facebook and twitter new..
this website ranked # 4,887 in Alexa and is rank very important, in addition to the page rank value of 4 from 10 possible points. If you search on Google Search Engine for any word on this site you will find many of the results around it, because it is well indexed. That's all dear readers, follow me on FB, Twitter to keep in touch .